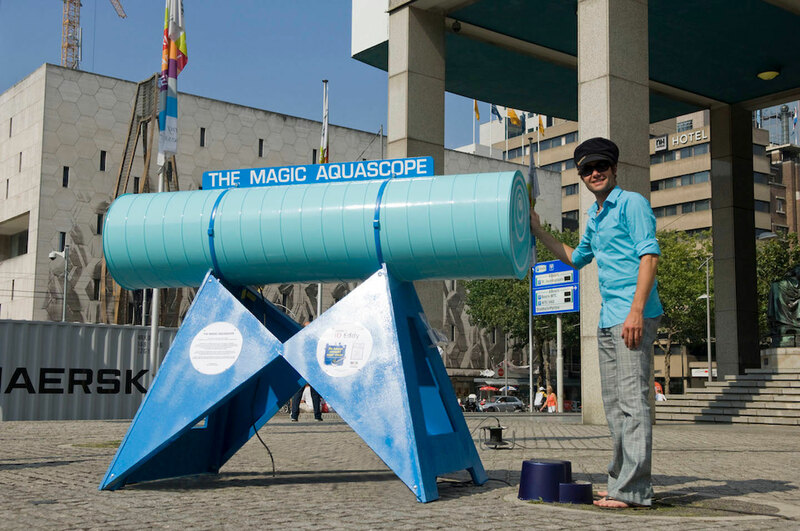 The magic aquascope takes you into an optical spectacular underwater world. 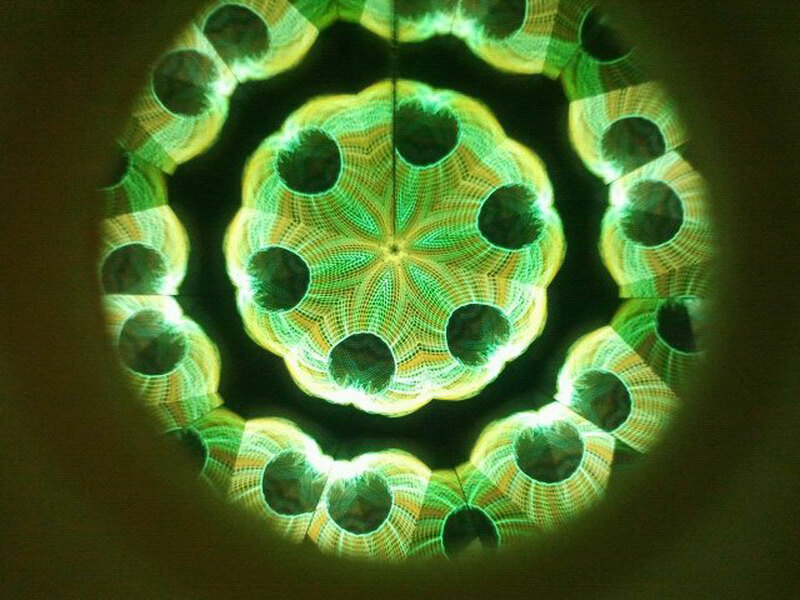 The images which appear in The Magic Aquascope consist of two parts. First, there is a real live show. 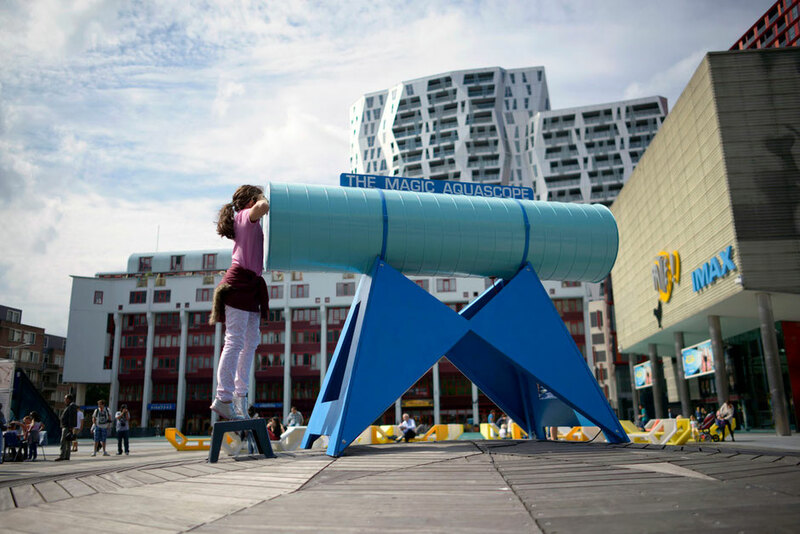 At the end of the mirror tube (kaleidoscope) there is an aquarium full of fish. 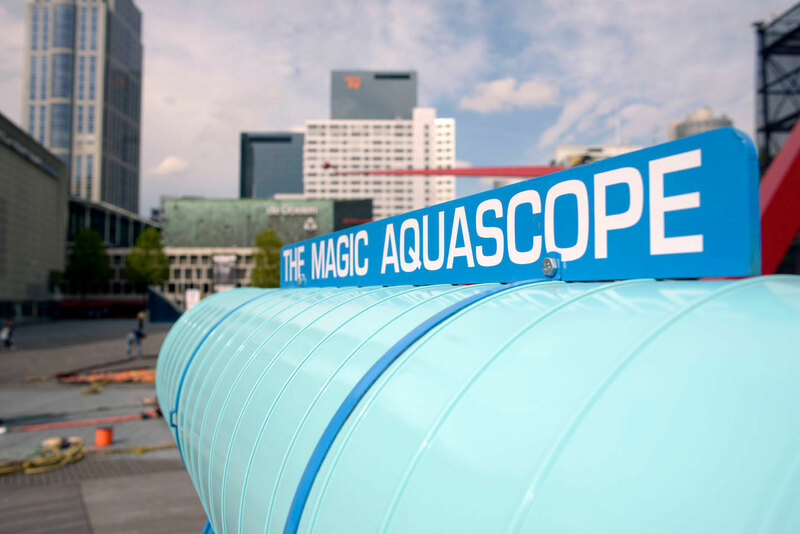 By the action of the aquascope, the fish are the artists in a spectacular underwater experience. The fishes are placed in a geometric play of aquascope and give a true clean swimming performance. Behind the aquarium there is a screen where you can see various underwater images. The scenes have a prism of colors so that the immersion is fantastic.